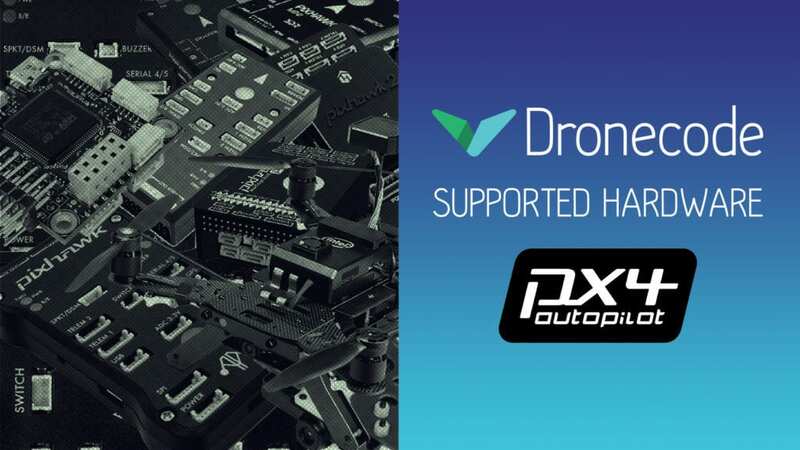 The PX4 Autopilot supports a wide array of Flight control hardware from many manufacturers; this post is the first in a series of reports, in hopes of creating a healthy ecosystem that fosters diversity, and also promotes the continuous support of the Dronecode Platform. We thank the manufacturers, service providers, and developers that work hard for continuing to offer a great out of the box experience of their products by using PX4. The flight control hardware below is supported by the latest release of PX4 v1.7, and most of it is being used by our Test Team to verify flight performance and also serve as another protection layer against regressions or unintended changes. Read more on the Test Team, how to request test flights and the hardware available https://dev.px4.io/en/test_and_ci/test_flights.html. The following is a list of the currently supported Flight Control hardware on PX4 as of March 2018. Qualcomm Snapdragon Flight – High-end autopilot with an integrated onboard computer. Intel® Aero Ready to Fly Drone – UAV development platform with high-end autopilot and integrated onboard computer. Register your flight controller to be part of the next Supported Hardware report; we would like to hear from you if you currently have hardware that is PX4 compatible/supported. We try to reach out to all the active companies using PX4, and we are sorry if we missed you, please help us correct this mistake by submitting either of the forms below. If you have any questions or want more information on Dronecode, please reach out to us via our contact form, make sure you mention this post in your message, we will get back to you as soon as possible.